Sweet breakfast. 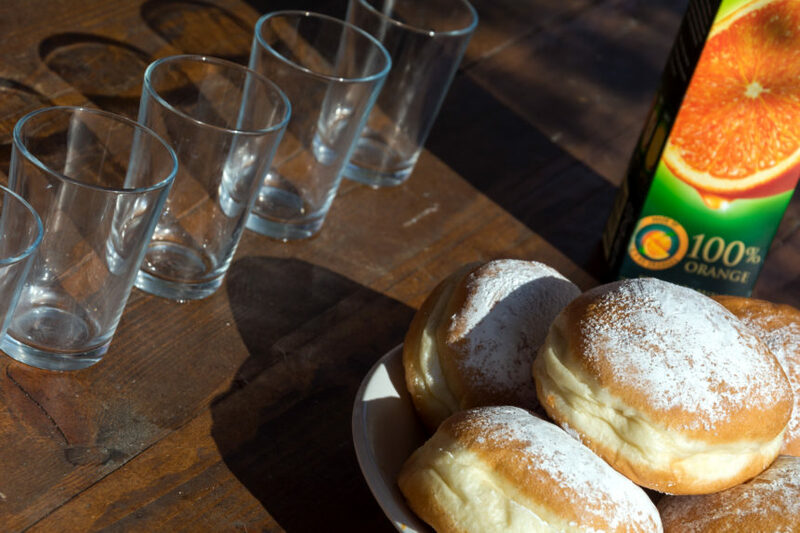 Sweet pastries (donuts), five glasses and orange juice on a wooden table. A Berliner Pfannkuchen doughnut or Bismarck donuts filled with strawberry jam. The post Sweet Breakfast – Donuts and juice appeared first on LIBRESHOT.